Throughout our history, our mission has been to share in the Church’s mission by working as educators in the faith. In all of our ministries, whether schools, parishes, or other works of missionary outreach and social justice, we serve side-by-side with our collaborators through educating hearts and minds and building communities of the coming kingdom. Today, the Congregation of Holy Cross consists of over 1,200 perpetually professed religious brothers and religious priests. Through our vowed religious life, our apostolic work, and our conviction that “the cross is our only hope,” we strive to be men with hope to bring in the 16 countries in which we live and serve. 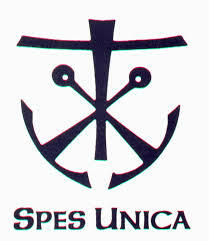 Our motto is SPES UNICA. Frs. Francis and Roshan are members of the Region of English Canada where we are responsible for pastoral ministry through parishes in Toronto (St. Ann, St. Joseph, Holy Name and the Native Peoples’ Mission), in Welland (St. Kevin), in various ministries in Montreal, Quebec, and in Moncton, St. John and Fredericton, New Brunswick. We also support international CSC missions, especially in India, Haiti Dominica and Peru.